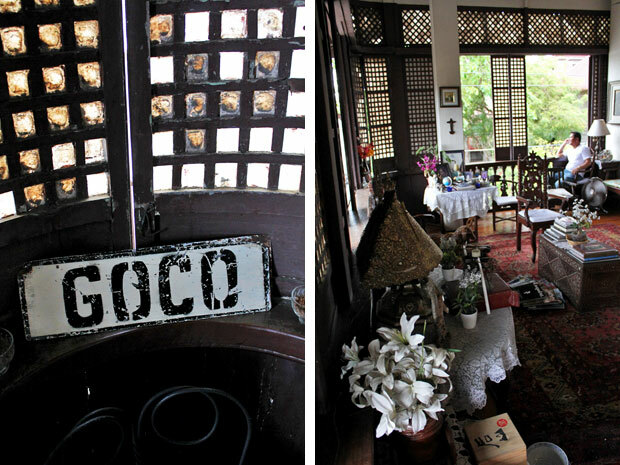 That’s what our tour guide Pio Goco said when describing this recent movement to restore Taal Town. A member of the Goco clan, he’s one of many passionate Taaleños working hard to preserve this town’s heritage and bring it back into prominence. 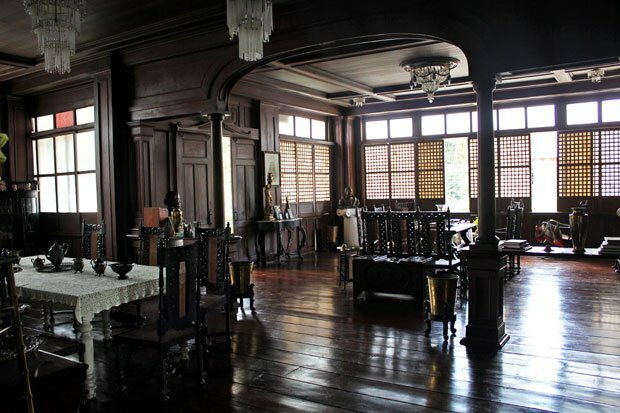 I was one of those misinformed people who thought that only in Vigan, Ilocos Sur could you find this many ancestral houses in one place. Within minutes of driving through the town’s welcome arches, you’ll be transported to a time that many people my age (or younger) have seen only in our grandparents’ musky albums. 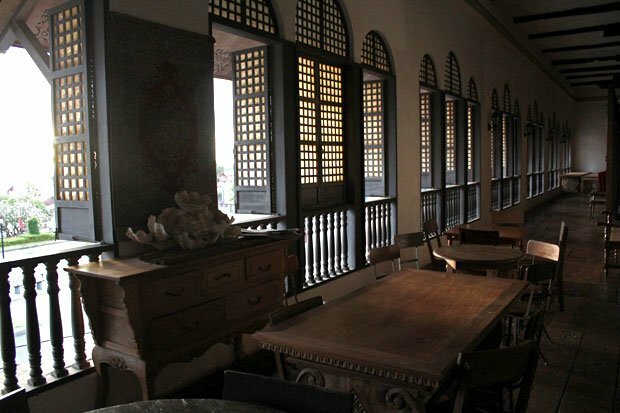 From the capiz windows to the intricate woodwork to the largest Basilica in all of Southeast Asia, Taal Town had me wide-eyed and wondering how on earth did I not know about this place before? 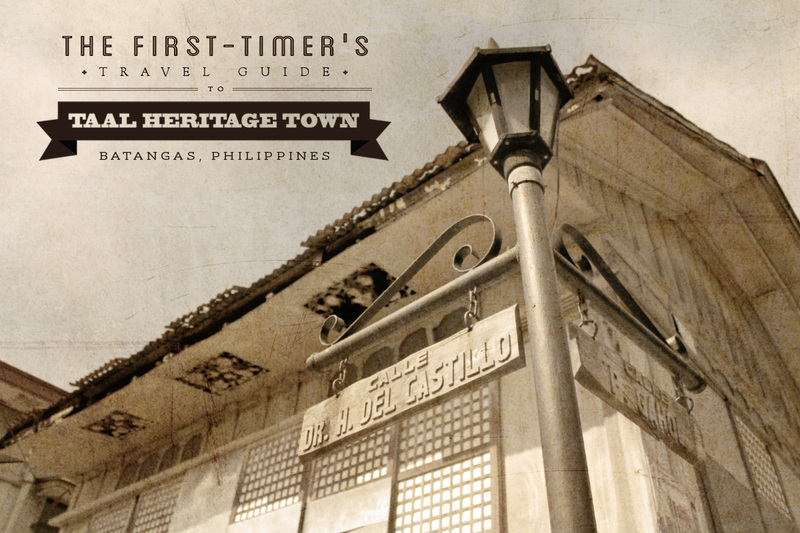 Just two hours south of Manila, here’s how our day went exploring this historic little town through the eyes of a proud Taaleño, Pio Goco. Fittingly, it was a #ThrowbackThursday too. 😉 If you’re a tourist and don’t have access to a vehicle, then you can hire a chauffeured car for the day through Klook. 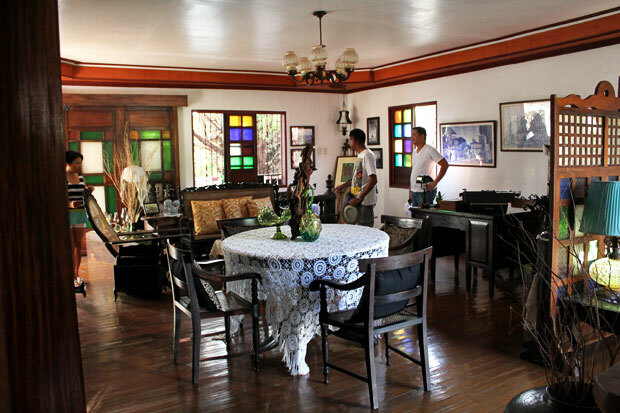 Pio’s tour starts at his family’s ancestral house. 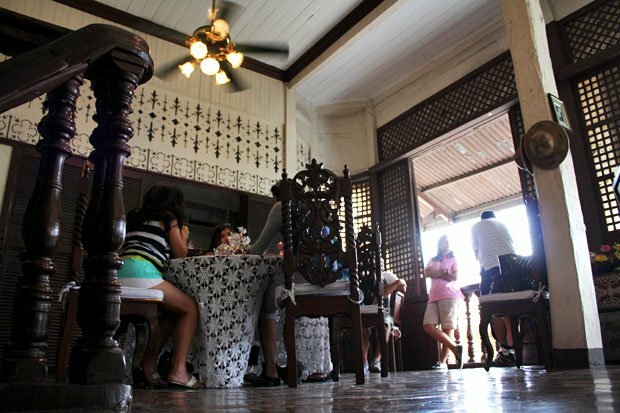 Built in 1876 by his grandparents Juan Cabrera Goco and Lorenza Deomampo, it was restored in 1999 in line with Taal being declared a National Heritage Town. 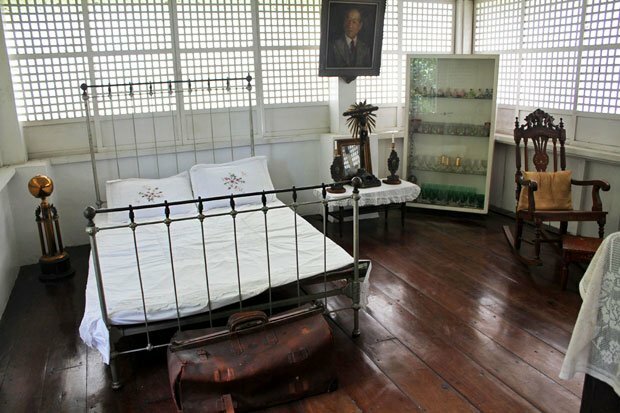 Pio’s grandfather was a landowner renowned for his modesty and trustworthiness, serving as the Treasurer of the revolutionary forces operating in this part of Batangas. 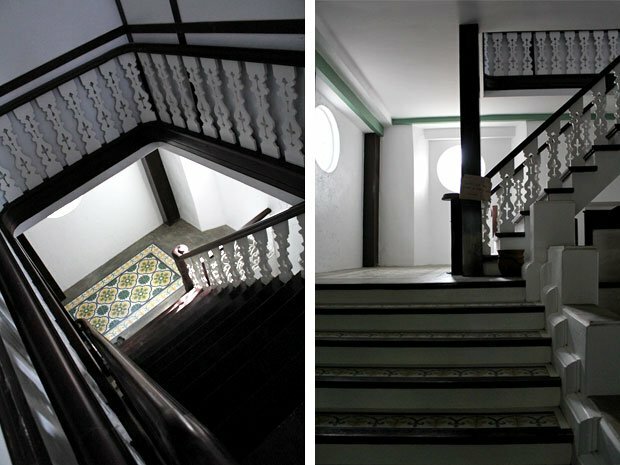 Typical of these ancestral homes, I love these wide stairwells with massive steps. And just like that, you’re back in time. The open-spaced living room. Beautiful right? 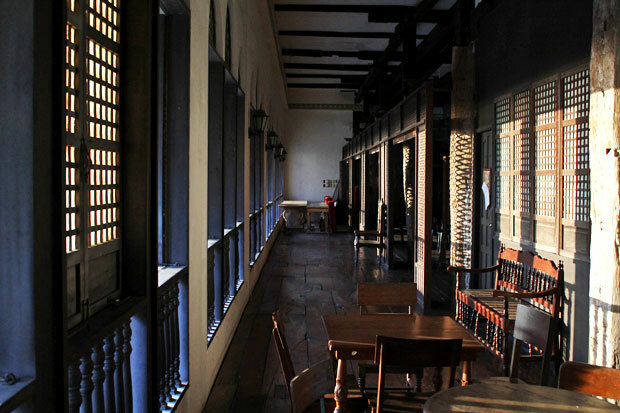 Love the capiz windows and the feeling of openness. Maaliwalas! Note the rounded corners. 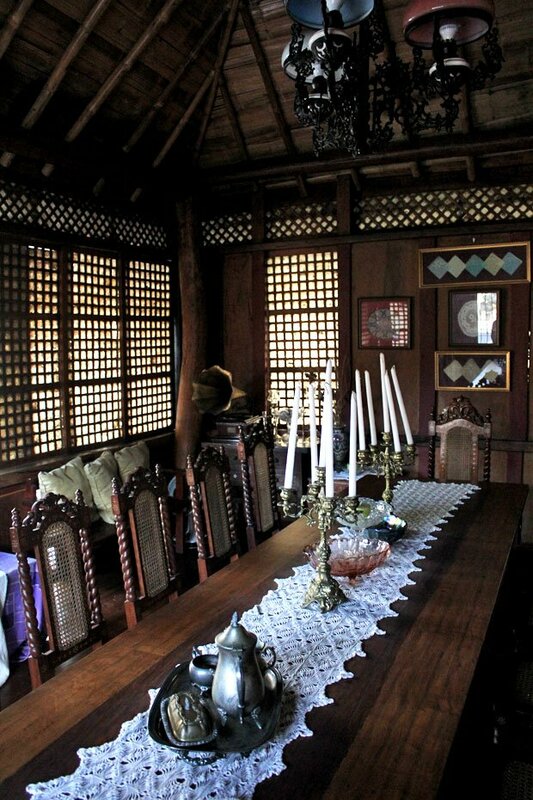 According to Pio, it’s a rare feature not typically seen in most ancestral houses. Chatting it up in the dining area, waiting for lunch to be served. 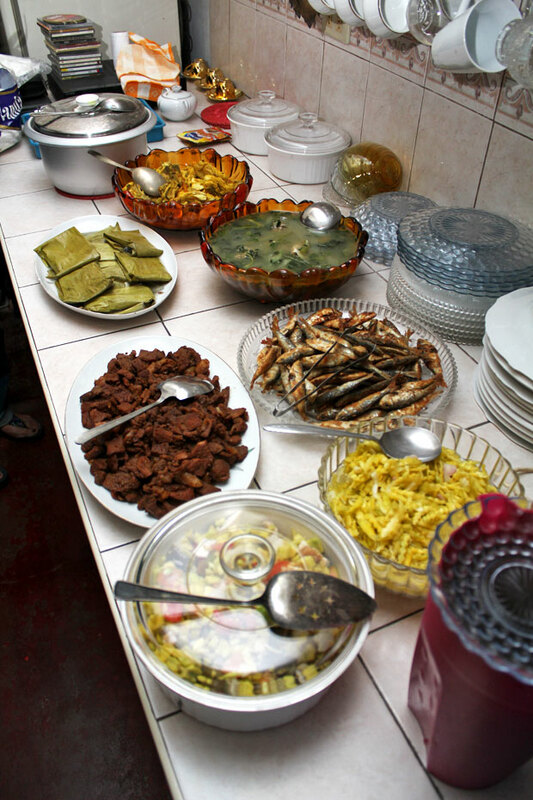 Pio’s tour starts with a homecooked lunch of beloved Taaleño specialties. Foodies will be pleased to know that Pio’s brother is Chef Rob Goco of Cyma and Green Pastures fame. Awesome! The delicious spread prepared by the Goco family cook. 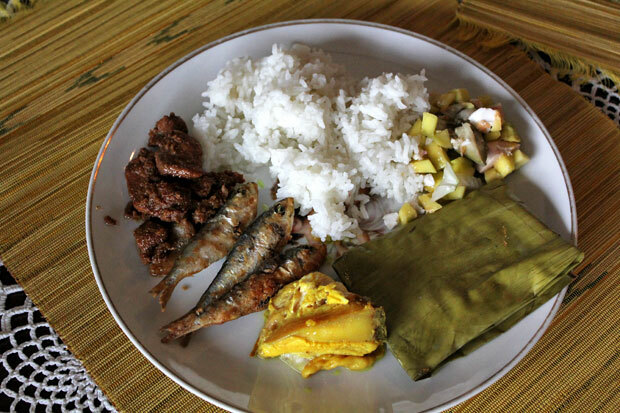 Of course, no self-respecting Taaleño meal would be complete without tawilis — a type of freshwater sardine endemic to Taal Lake. 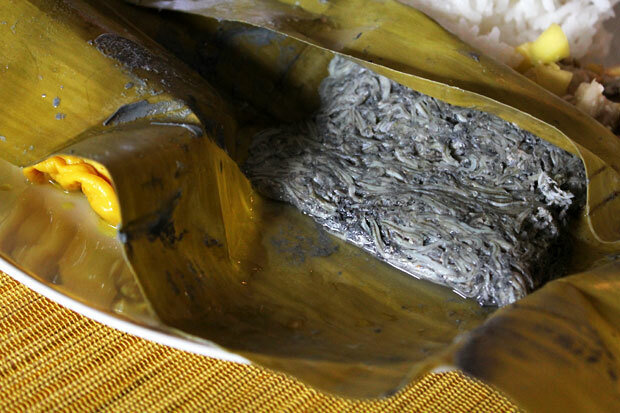 Pinais na dulong, anchovy fry wrapped in banana leaves and steamed in a clay pot. 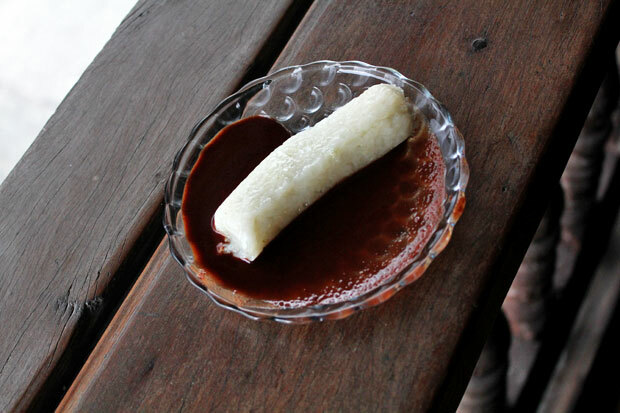 Suman con tsokolate, rice cake drenched in local chocolate. Another Taaleño favorite. 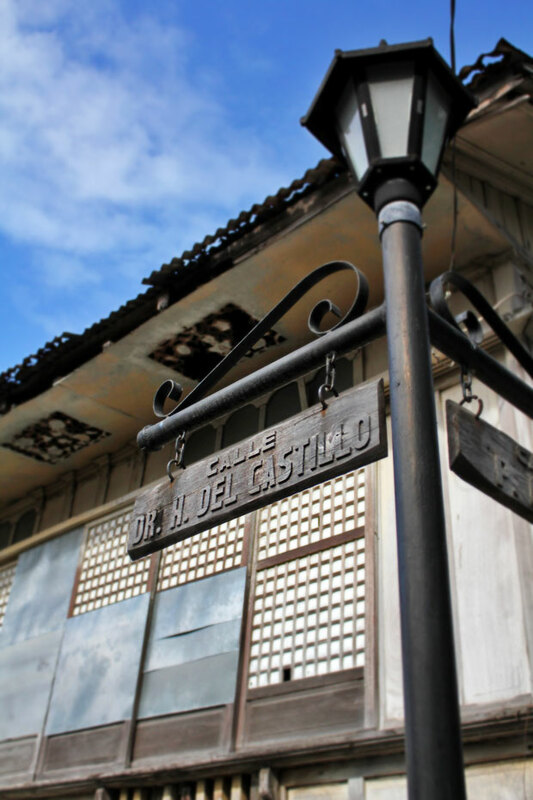 I’m not sure if this is part of his usual tour, but Pio was excited to show us this recently opened bed & breakfast along Calle Dr. H. del Castillo. 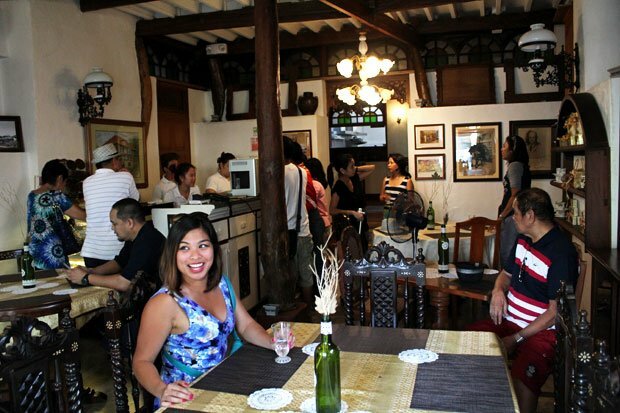 Called Paradores del Castillo, the owners restored the dilapidated del Castillo ancestral house and converted it into this charming 7-room bed & breakfast. Brenee Mars posing by the stairwell leading up to the rooms. Love all the wood carvings! 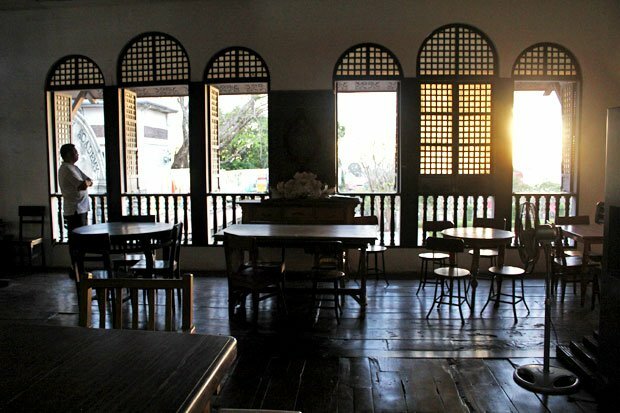 The common area. I didn’t take any pictures of the rooms because they weren’t ready yet at the time, but they are now. In fact, we already stayed there for a weekend and we loved it. 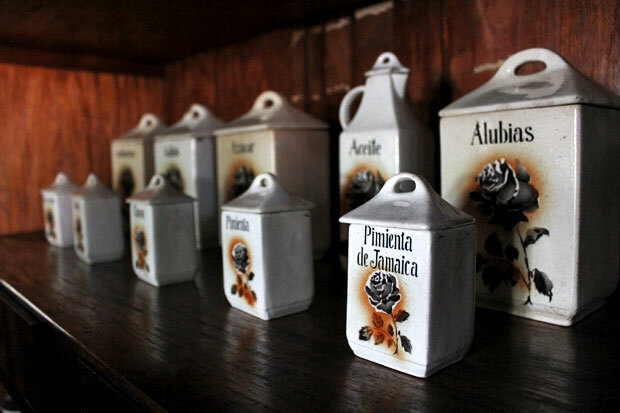 CLICK HERE to read my full post on Paradores del Castillo. R: At the foot of the steps is Caysasay Church, which was known at the time as the poor man’s church. 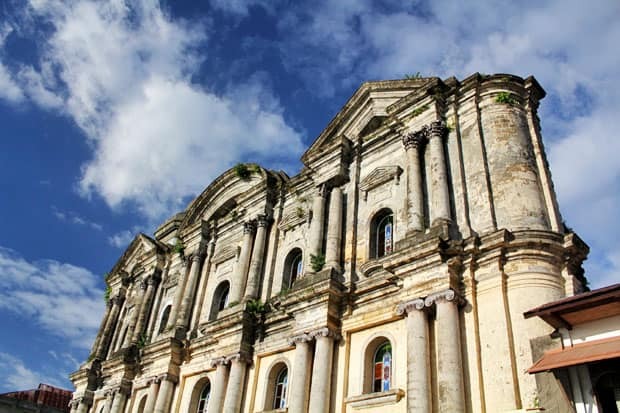 The rich heard mass higher up at Taal Basilica. 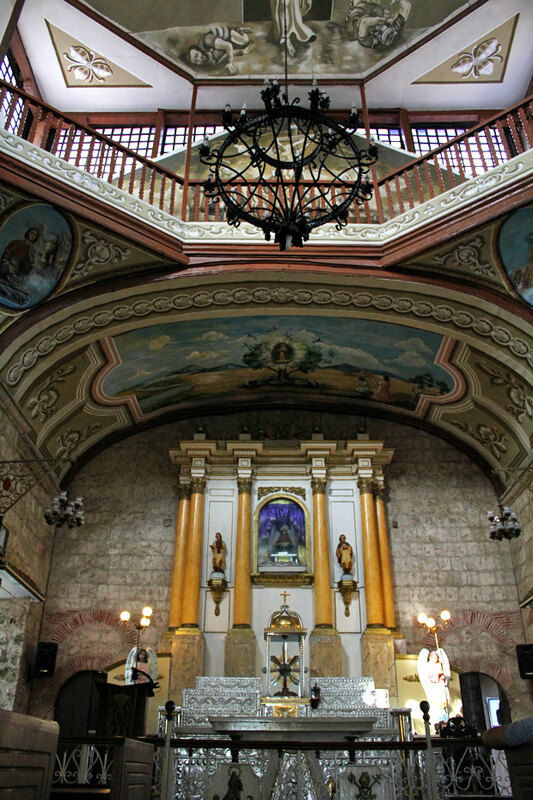 Caysasay Church altar and painted ceilings. Encased high up behind the altar is the image of the Virgin of Our Lady of Caysasay. 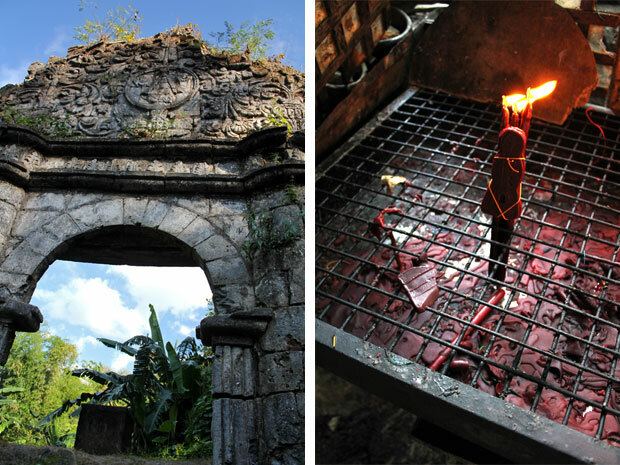 Believed to be one of the oldest in the country, it was fished out of the Pansipit River in 1603 by a fisherman named Juan Maningcad. Though waterlogged, the image had a heavenly lustre, causing Maningcad to prostrate himself and pray before the statue. Word about the image quickly spread, causing the parish priest and vicar to visit Maningcad’s house to verify his story. Upon seeing the image, they knelt down and venerated it. You can take a flight of stairs to the room where the image is held and touch the statue if you like. 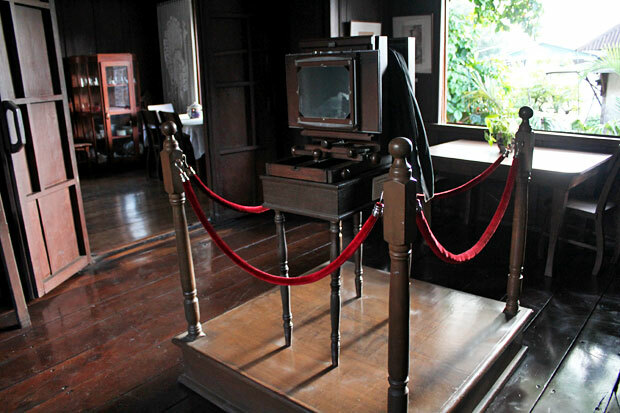 There’s actually more to its history — including a time when the statue was said to leave its resting place every night before coming back in the morning — which you can read about HERE. 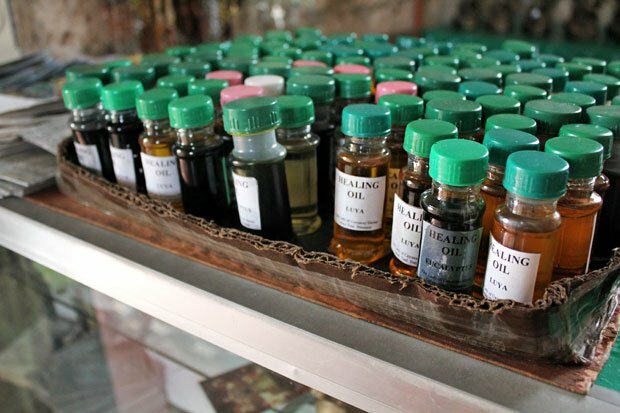 In the same room as the statue is a shop where you can buy religious items like rosaries, prayer cards, and these small bottles of healing oil. This healing oil has special significance for us. My mother-in-law had been bedridden for over a year, breathing through a trache and with a 24-hr nurse by her bedside. It didn’t look like she was going to get better, until she used this healing oil. Call it coincidence, but within a few days of using it, her health improved dramatically. She’s since been taken off the trache and is now weeks away from a full recovery. According to my mother, she’s never seen anyone recover from a tracheotomy before. We couldn’t believe it. I’m not saying I believe that this healing oil is wholly responsible for her recovery, but my mother-in-law does. As a non-practicing Catholic, I believe in God but I don’t believe in organized religion. I’m a man of science, but I also believe in faith, and in the power of the human mind. If you believe that something like this healing oil can make you better, then chances are, it will. 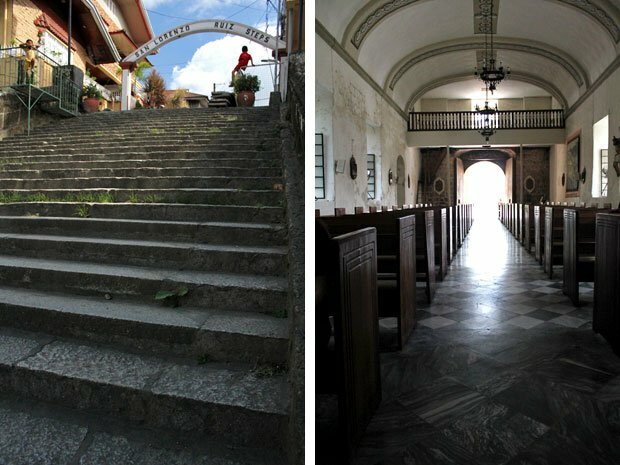 A short walk from Caysasay church is the Sta. Lucia Well. 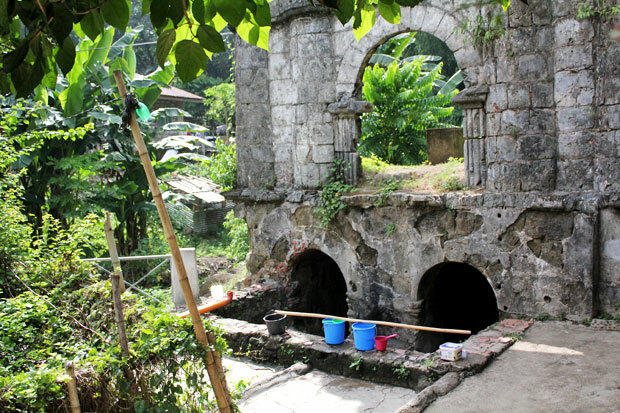 A sacred pair of wells, its waters are said to have healing powers. 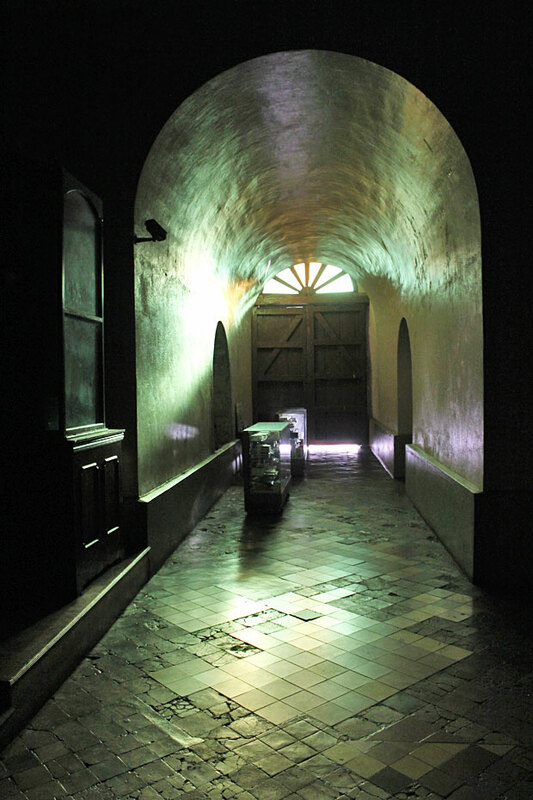 L: This was the very spot where an apparition of Our Lady of Caysasay was seen in 1611. 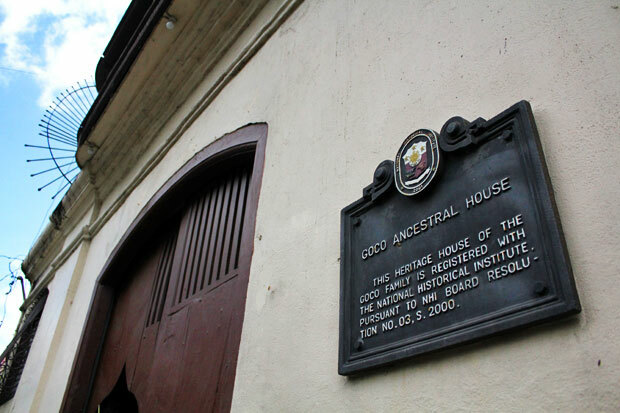 According to Pio, it was the first recorded sighting of the Virgin Mary in Philippine history. R: For PHP 20, you can buy this set of candles with a wax figurine to make a wish. I wasn’t sure what the significance of the figure was so I Googled it. As it turns out, the two girls who saw the apparition of the Virgin Mary described her as having candles at her sides. She was also surrounded by kasay-kasay birds (kingfishers). Water from one well is used for washing your face while the other is meant for drinking. It’s said that the water’s healing powers is lost after each use, so a fresh bucket must be drawn for the next person. Photography enthusiasts will love this place. 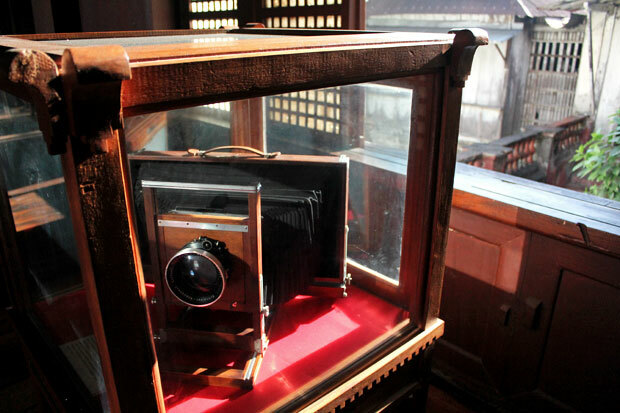 A camera museum set in the Ilagan ancestral house, on display here is an extensive collection of rare vintage cameras dating back to the late 1800s. Love them fancy door knockers! 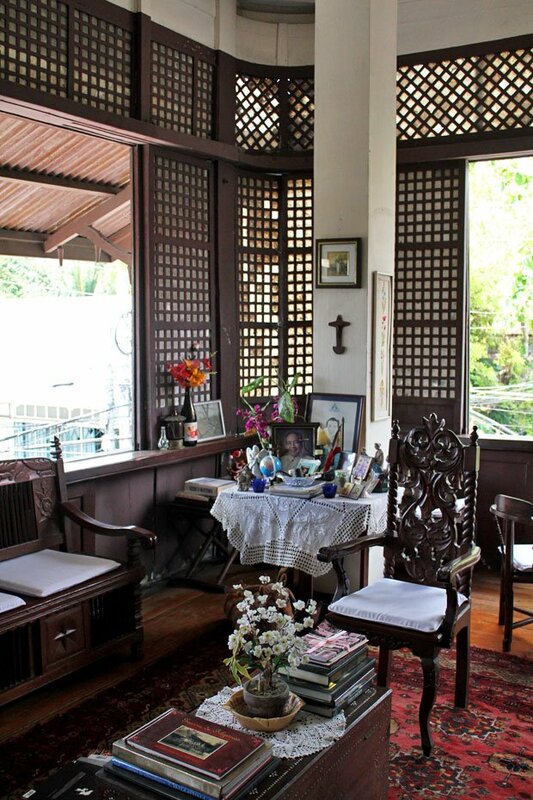 The Goco ancestral house had one like this as well. 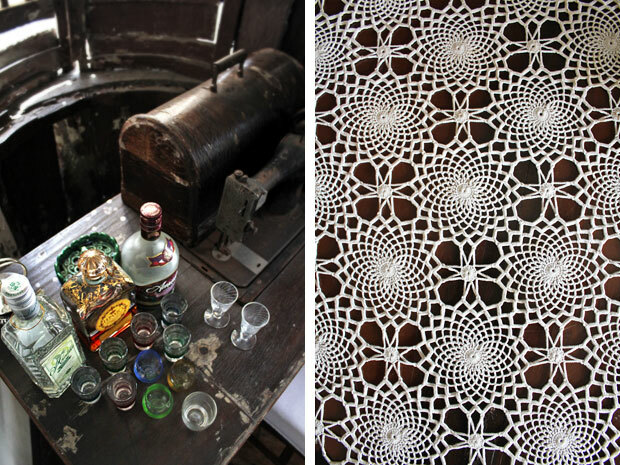 The space was every bit as picture-worthy as the collection. Collection of vintage Rolleiflex cameras. 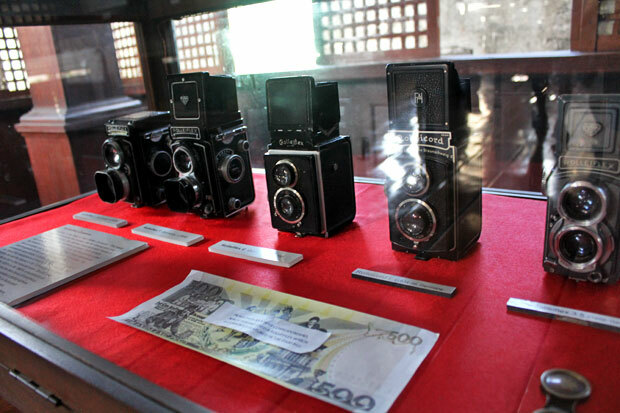 It’s the same type of camera printed on the back of a 500 peso bill. More vintage awesomeness. 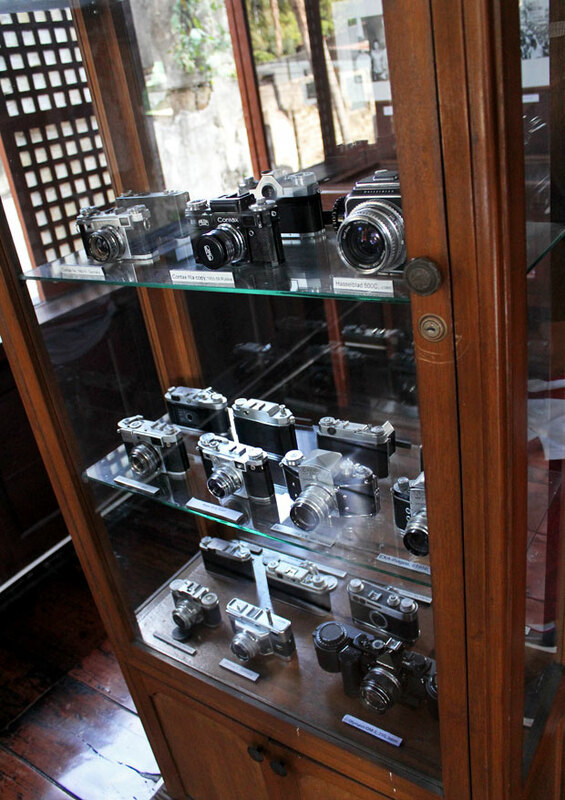 There were entire display cabinets of just vintage Canons or Nikons. Half camera, half furniture. Another vintage Instantograph. This was really cool. 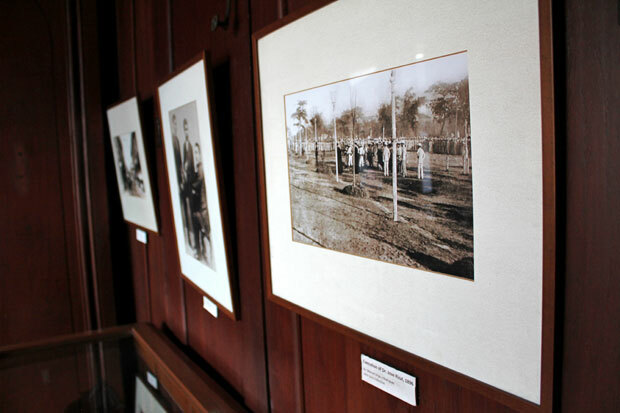 What you’re looking at here is an actual photograph of Jose Rizal’s execution in 1896. What makes it even more interesting is that it was found at a flea market in Pennsylvania, of all places! 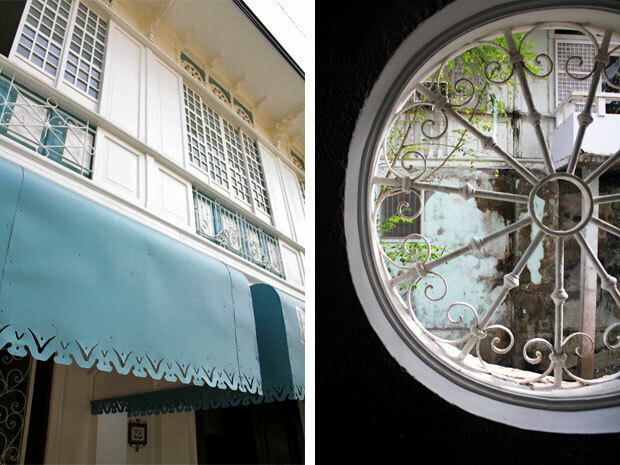 This stately white colonial American house was once the home of Gregorio Agoncillo. 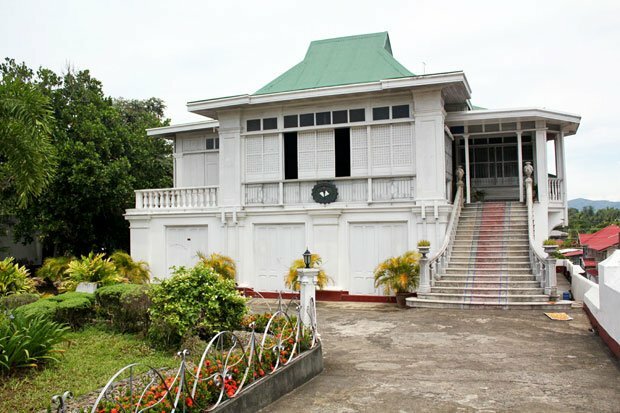 It’s one of the first mansions you’ll see when you drive into Taal Heritage Town. 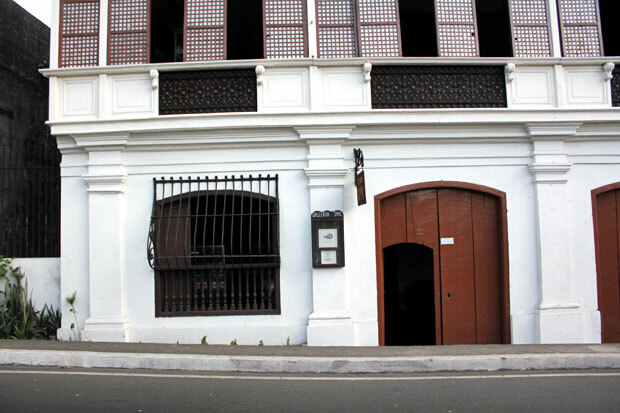 Gregorio’s sister, Maria Agoncillo, became the second wife of Gen. Emilio Aguinaldo. Beautiful isn’t it? 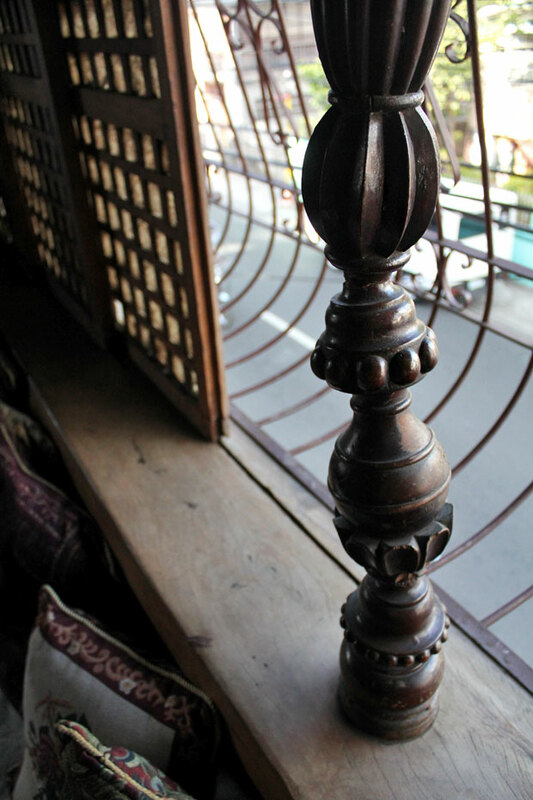 A collection of well-preserved Edwardian and Spanish-inspired furniture from the late 1800s and early 1900s can be found here. One of the bedrooms. 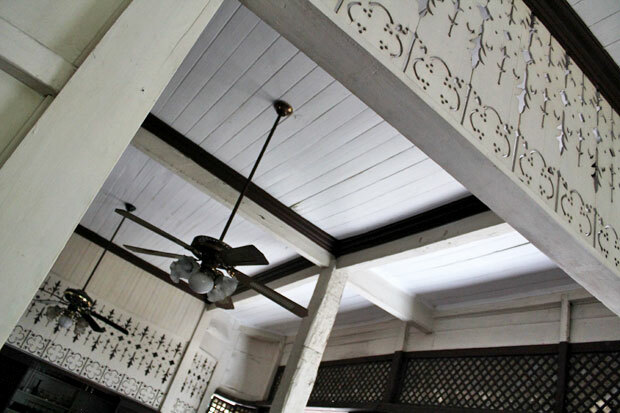 CLICK HERE for more on the Agoncillo Mansion and the other ancestral houses of Taal. 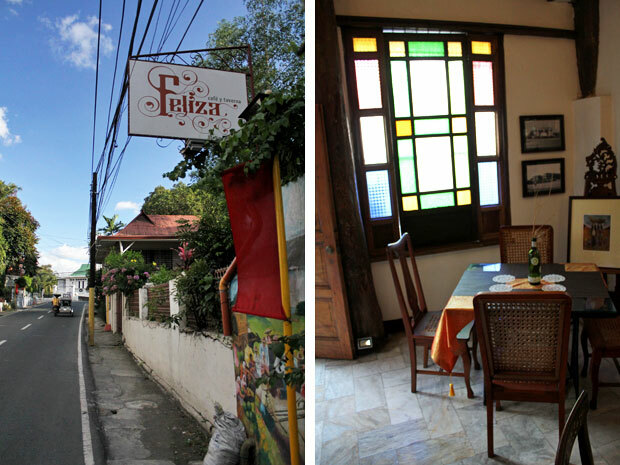 Before heading off to the Basilica, we make a quick stop at Feliza Cafe y Taverna for refreshments. …and time capsule on the second floor. So cool! Handcarved posts. Funny how this one was carved from a twisty piece of wood. Everyone admiring the vintage pieces. 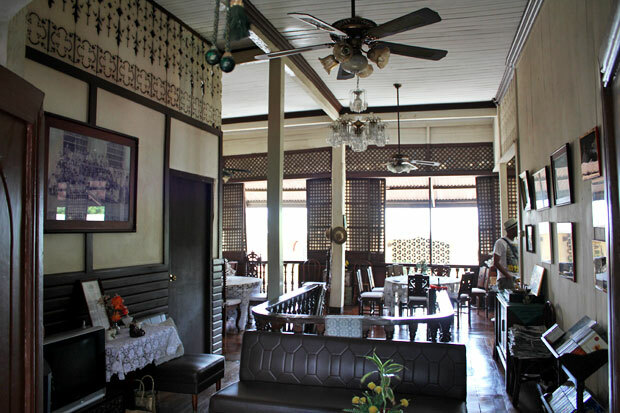 CLICK HERE to read my full post on Feliza Taverna y Cafe. 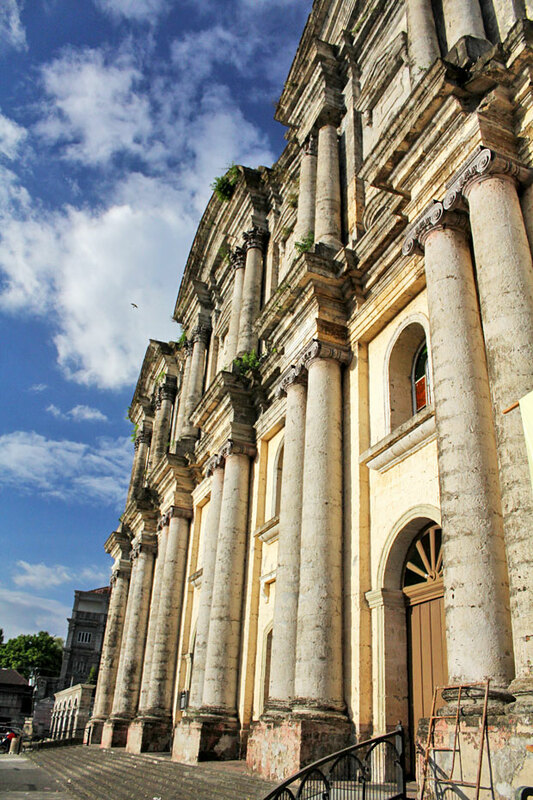 Standing 88.6 meters (291 ft) long and 48 meters (157 ft) wide, the Basilica of Saint Martin of Tours is the largest church in all of Southeast Asia. Absolutely stunning in its grandness, especially from up close. We walked up a narrow stone staircase / tunnel to the bell tower just in time for sunset. The view from the tower. Kinda gives you all the feels doesn’t it? Our tour started with food, so there’s no better way to end it than with more food. 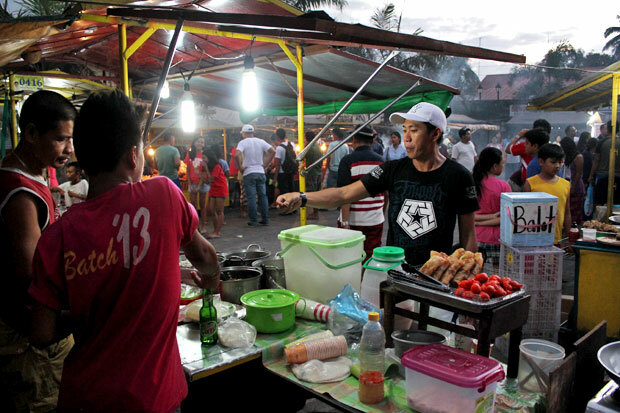 Just a few blocks from the Basilica is this small street food night market. Stuff on skewers is always a hit. 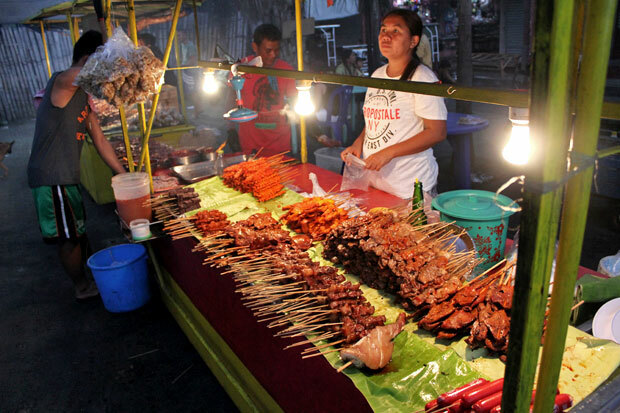 But if street food isn’t your thing, then you’ll be pleased to know that there’s a nice boodle restaurant right next door. It isn’t part of Pio’s tour but the food is cheap and good. Though still in its infancy tourism-wise, the potential of this town is unmistakeable. 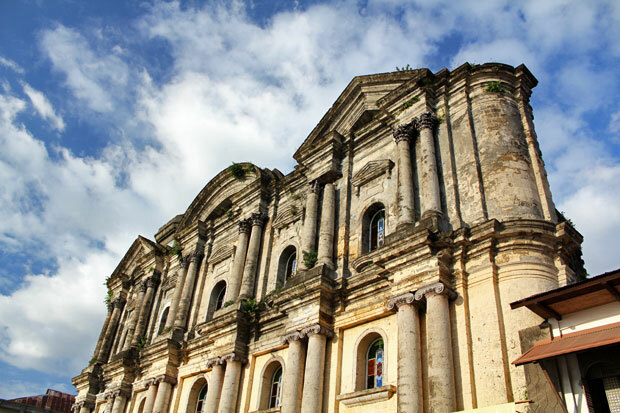 It may not have the cobblestone streets or artisanal shops of Vigan (yet), but it has just as much in the way of charm, culture, food, and history. And let’s not forget, it even has its own miracle. Yes, there’s a definite buzz about this place. We all felt it. 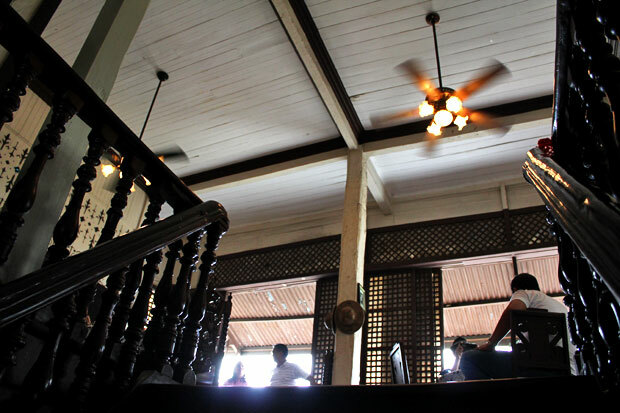 It’s an excitement shared by Pio Goco and the rest of this dedicated group of Taaleños working hard to preserve this town’s priceless heritage. 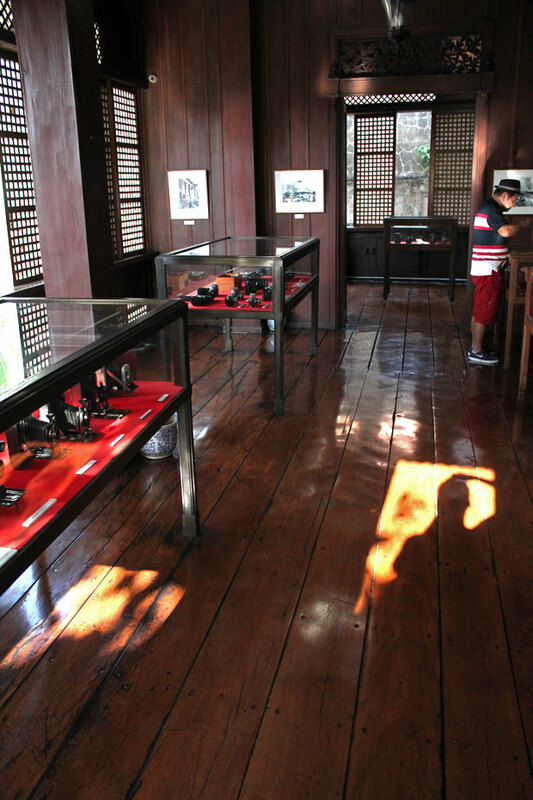 You can email Pio HERE or call him at (+63) 917-373-7346 to book a tour. Unless I’m mistaken, minimum for the tour is 5 people and it costs PHP 1,500 per head for a group of 7 or below, and PHP 1,380 per head for groups with 8 and above. That includes lunch and all museum entrance fees. 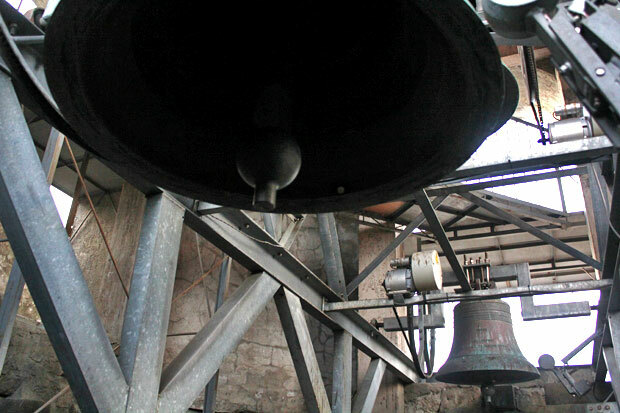 The tour starts with lunch at 11 AM at the Goco ancestral home, and ends at sunest atop the bell tower of Taal Basilica. Love Taal especially the basilica. Good thing they took out the monstrosity of an events venuel at the side. Hi! This post is very well written! Although, the link to Mr Pio’s email isnt working. Appreciate if you could give it so, we can schedule a tour. Thanks! Thanks for the glowing review JB! I really appreciate you writing this piece. Warms the Taaleno’s heart! All the best! 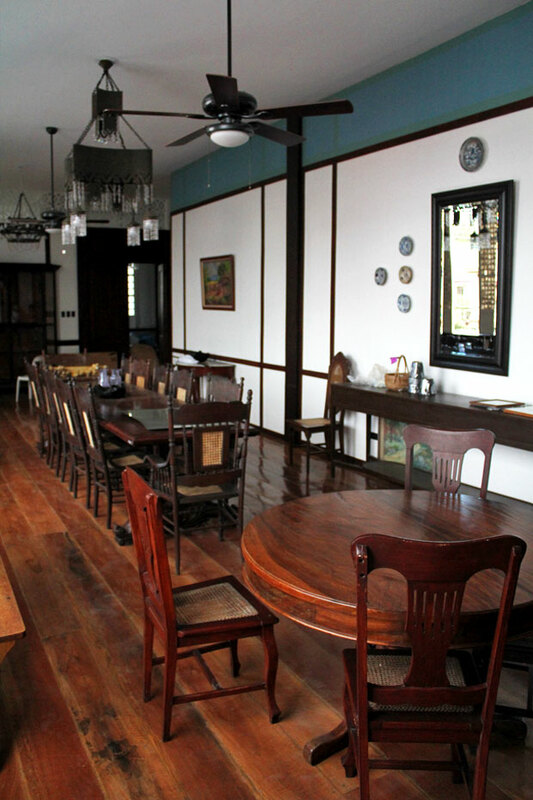 See you in Old Town Taal soon! Well-written article. Excellent shots! I’m looking forward to my Taal visit. 1. 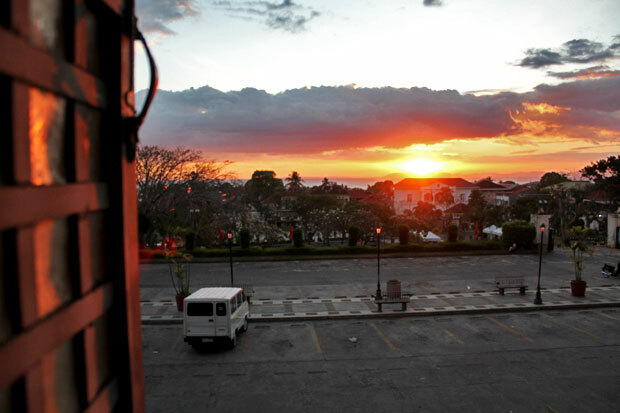 From Taal, Batangas, take a bus headed to Lemery. 2. Get off at the Lemery Bus Terminal of JAM Liner. Wow! 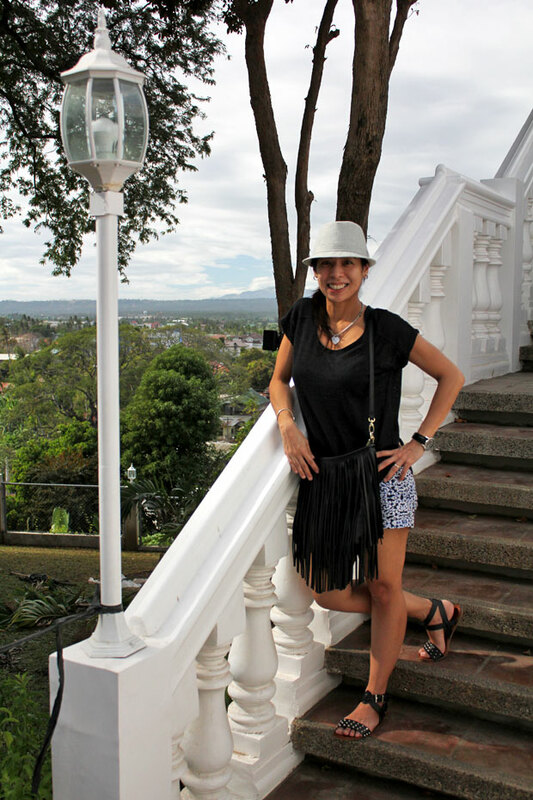 nice blog, Do you think this trip is good for a solo female traveler looking to a one day trip ? I do have a car but I don’t know if Mr Goco could accommodate me if I’m by myself since the minimum is 5 people…. Hi MayMay, I suggest contacting Pio and telling him you’ll be alone. Maybe he can put you together with another group? Thank you for the very informative article. Can’t wait to travel to Taal! This blog is really informative and detailed. Thanks for inspiring us to pack our bags and enjoy the town. I’ve never seen such a well-written review and beautifully captured photos in such a long time. Your enthusiasm and happiness emanated from the descriptions you used in the blog. I’d love to read many more from you and your partner. Kudos! Thanks so much Quelly! That’s very kind of you to say. I really appreciate that. 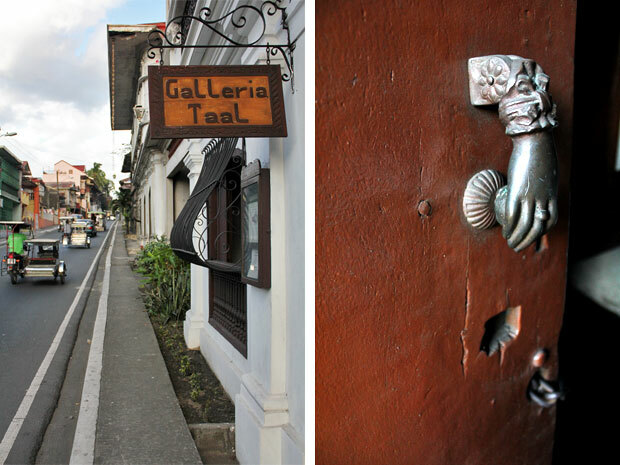 Taal Town itself is inspiring. 🙂 Hope you have a wonderful time there! Please give our regards to Pio. Hi JB. Planning to visit next week. want to clarify if Jam Liner as you said will drop me off directly to Taal Batangas. Your response in this regards is appreciated. This is awesome! I’ve been wanting to go here forever and to bring my family. This post further convinced me to visit this long weekend. 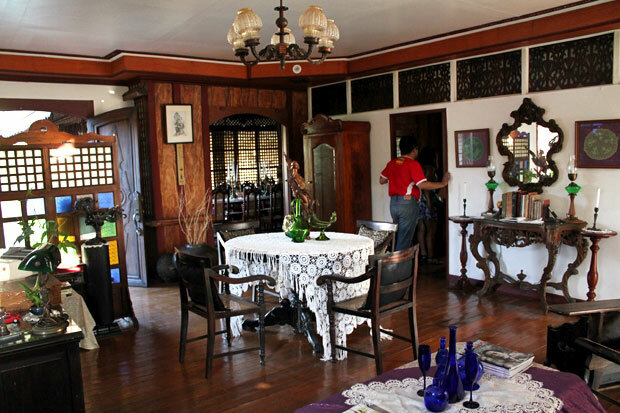 I get scared easily, though, so I’d probably think twice before staying overnight at an ancestral home. Maraming salamat po sa blog ninyo. Informative, clear and sweet. Ang dami kong pupuntahan at papasyalan sa Taal, Batangas. ipagpatuloy pa po ninyo ang pagsusulat. 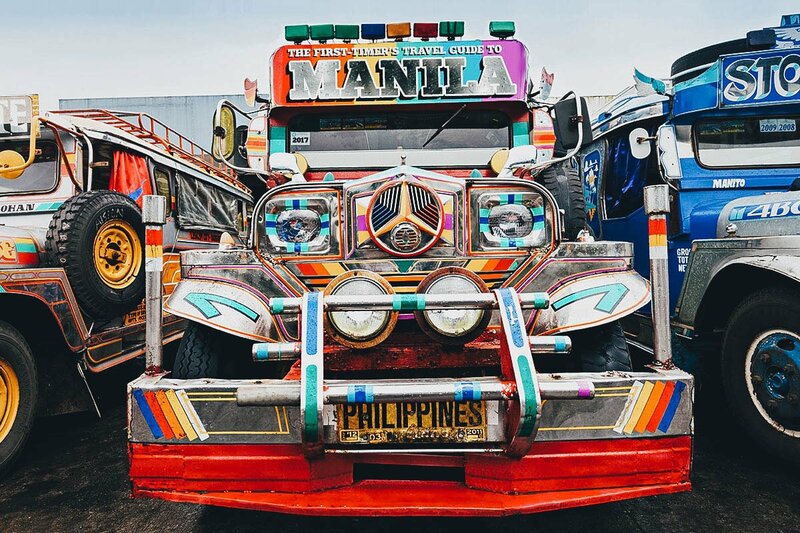 Mabuhay po! Hi. It’s 2018 and found your blog through google. Very well-written indeed. I just want to ask if this is a purely walking tour? 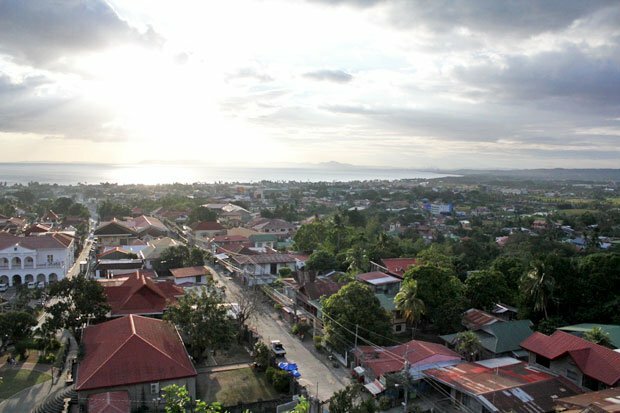 We’re interested in visiting Taal but my concern would be my aunt/uncle who would be joining us. They may not be able to endure long walks.